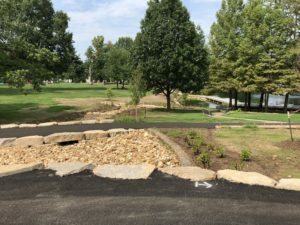 Each year, the Municipal Park Grant Commission of St. Louis County prepares an annual report of grant money awarded and projects funded. The annual report is cumulative, allowing you to view all projects which have been funded to-date. To the right are pictures of the Tiemeyer Lake renovations project. The City of St. Ann was awarded $420,000 Grant in Round 17, for the $747,666 project. 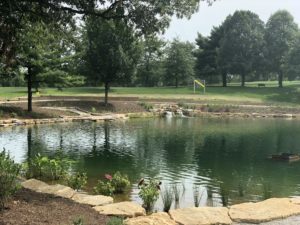 The lake was completely drained, dredged and updated with an aeration system. The aeration system helps stabilize the plant and animal life because of the increased the oxygen in the water. 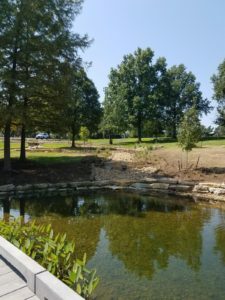 When the plants at the bottom of the lake are getting adequate amounts of oxygen, they grow healthier and provide a food source for the fish in the lake. 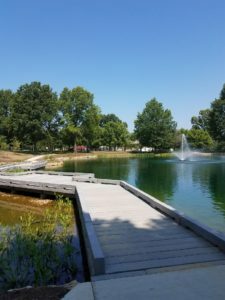 The balanced eco systems helps extend the life of the lake as well as providing a beautiful attraction at the park. 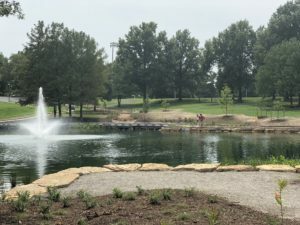 The project also included new decking around the lake, new walking trail and landscaping amenities.